Outstanding view from the second floor and observation deck atop the station. A wide panorama of the Japan Alps and the lake formed by Kurobe Dam. Harinoki Daisekkei, one of 3 snow corridors in Japan where snow remains even in summer. Mt. 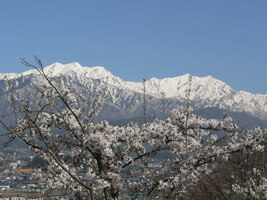 Kashimayarigatake (2889 m), one of Japan’s 100 famous mountains, is also visible from here. 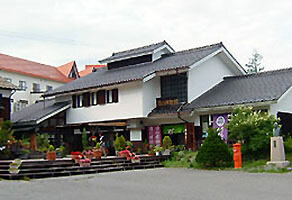 There is a garden as you exit the station, surrounded by the scenic mountain range and Kurobeko (lake). The botanical garden displays high altitude plants. 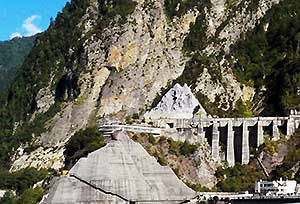 At 1,500 m, Kurobe Dam is the highest arch dam in Japan. The lake behind the dam holds 200 million cubic meters of water. The dam is 186 m tall and 10 cubic meters of water pass through the dam every second generating one billion kWh per year. Climb 220 stairs to see the finest view of the dam. Also a great view of the water discharge. 10 tons of water shoot out of the dam every second producing a beautiful rainbow. 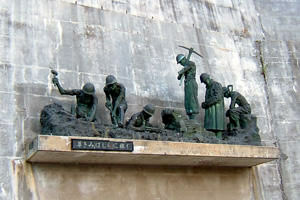 A monument to the 171 workers who lost their lives during construction of the dam. 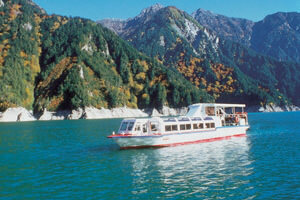 See History of Tateyama and the Alpine Route page. The highest sailing pleasure boat in Japan (1448 meters). The scenery of Lake Kurobe and the view of the Alps reflected on the surface of the water here are just beautiful. There is a boardwalk across the suspension bridge to the south of the “Garube” boarding point. Enjoy views of the dam and Tateyama mountains while you eat. 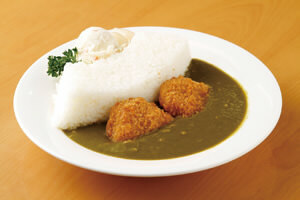 We recommend the Kurobe Dam Curry, a lake of delicious curry behind a dam of rice. Ogizawa is the entrance to the Alpine Route from the Nagano side. The spacious terminal has a restaurant and gift shop. The bus journey from Shinano Omachi Station takes 40 minutes via Omachi Onsenkyo. 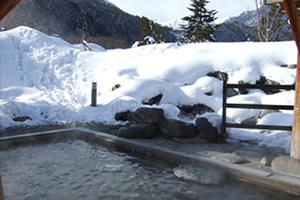 Wash away the fatigue from your journey by relaxing in the hot springs of traditional Japanese inns with majestic views of the Japan Alps. Close to the bus stop you will also find day trip hot springs (no overnight stay required) and a hot spring museum. There is also a museum of Japanese Sake which you can try tasting, and a museum of Ukiyo-e (wood block prints) that were loved by Vincent van Gogh. 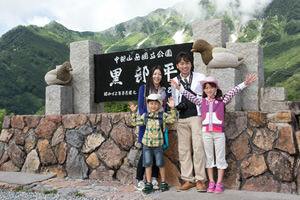 A museum with information on the natural environment and animals of Tateyama. 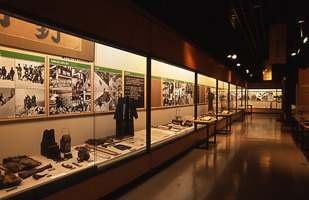 There are also exhibits on the history, tools, and paintings of mountaineering. 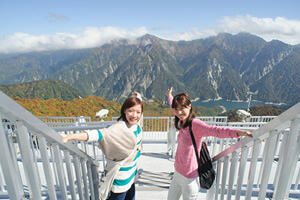 An impressive panoramic view of the Japan Alps can be enjoyed from the observation deck on the third floor. There is free entry to the nature garden where you can see Japanese serow. Below the museum, Omachi Park is filled with cherry trees that produce beautiful blossoms from mid-April to early-May. See also Omachi City Tourism Association website.